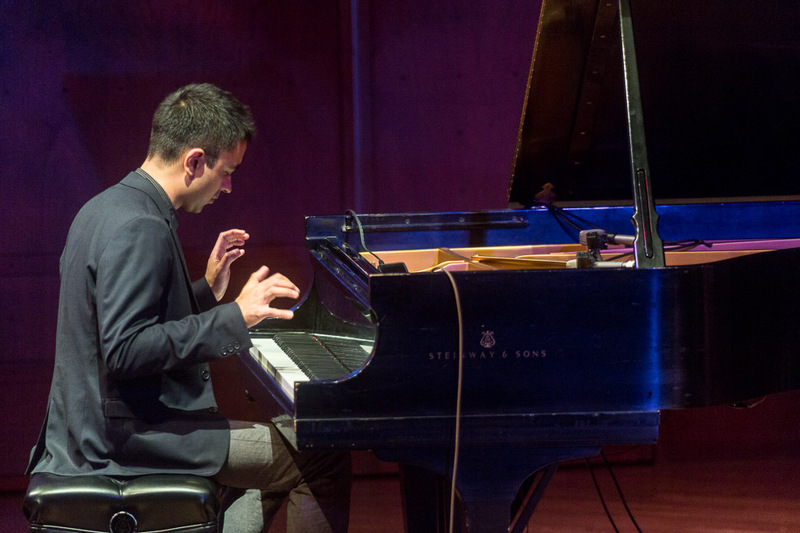 So after a break at ILLSLEY BALL NORDSTROM RECITAL HALL AT BENAROYA HALL, Vijay Iyer came on with his trio and i was transported away on a journey I know not where but it was another Earshot Jazz monent. 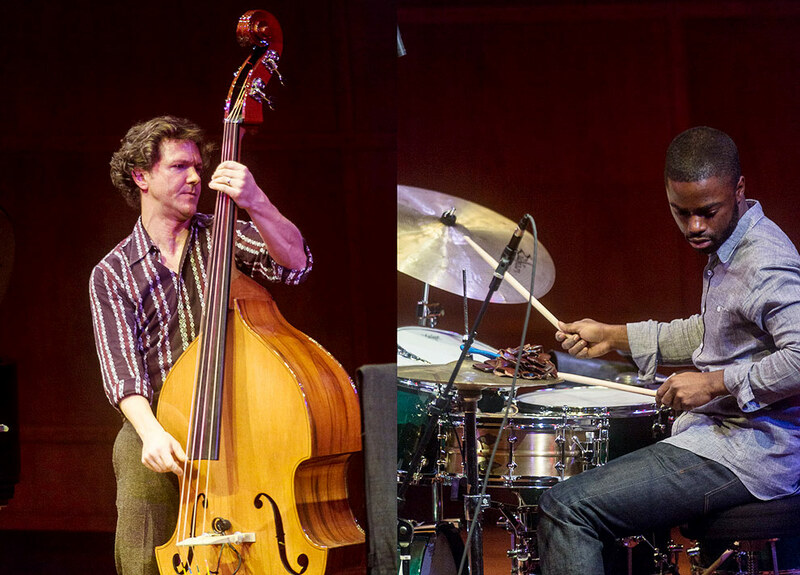 Earshot Jazz Festival continues and tonight completes the first week. It goes on until Nov 4th. 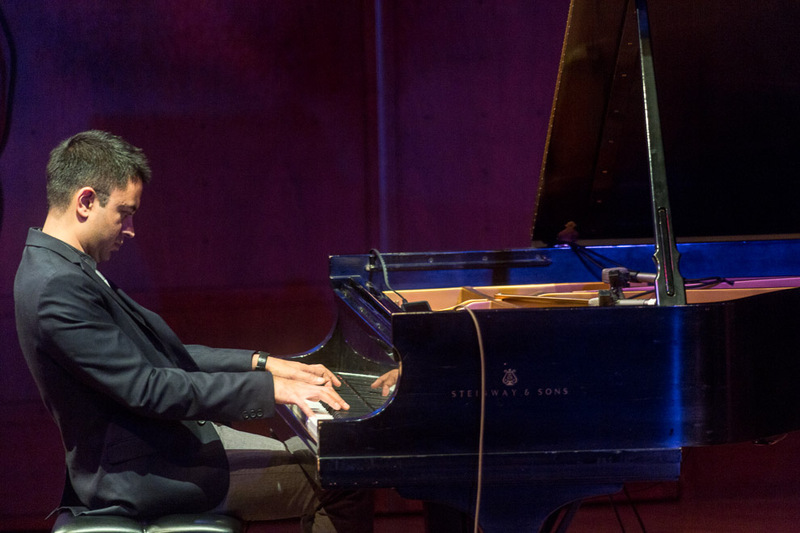 Grammy-nominated composer-pianist Vijay Iyer’s recent accolades include the Jazz Journalists Association 2012 Pianist of the Year award and a sweep of the DownBeat International Critics Poll – Jazz Artist of the Year, Pianist of the Year, Jazz Album of the Year (Accelerando), Jazz Group of the Year (Vijay Iyer Trio) and Rising Star (Composer categories). No other artist in the sixty-year history of DownBeat’s poll has ever taken five titles simultaneously. Earlier in 2012, Iyer also received a Doris Duke Performing Artist Award and the Greenfield Prize. The year has been remarkable for Iyer. 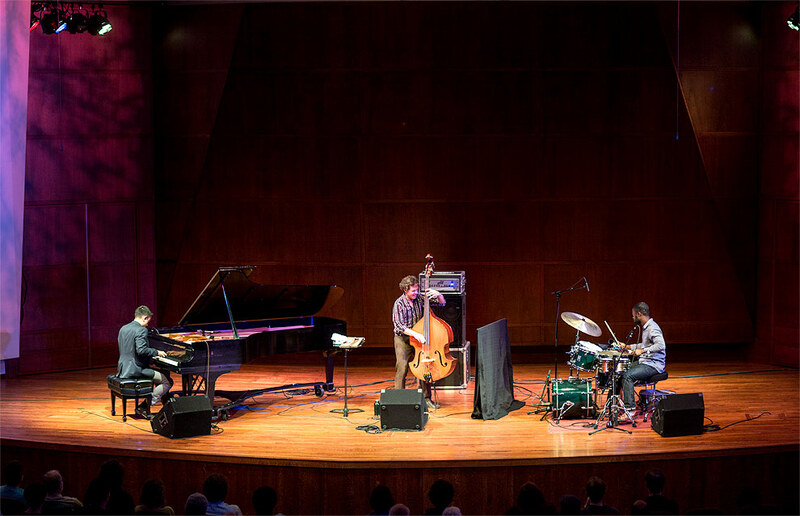 Jazz Album of the Year Accelerando (ACT, 2012) is an intense, visceral and widely acclaimed follow-up to the multiple award-winning Historicity (ACT, 2009), both featuring Iyer on piano with Marcus Gilmore on drums and Stephan Crump on bass – the group featured in tonight’s performance. The latest tide of honors is a result of Iyer’s remarkable seventeen-year track record as an artist. His sixteen albums as a leader have covered so much ground, at such a high level of acclaim, that it is easy to forget that they all belong to the same person. His work ranges from well-known collaborations with poet-performer Mike Ladd, innovations of experimental collective Fieldwork and the duo with Rudresh Mahanthappa to original compositions for the American Composers Orchestra, Yo Yo Ma’s Silk Road Ensemble, Brentano String Quartet, Bang on a Can All-Stars, Brooklyn Rider and International Contemporary Ensemble. Across this diverse output, Iyer’s artistic vision remains unmistakable. 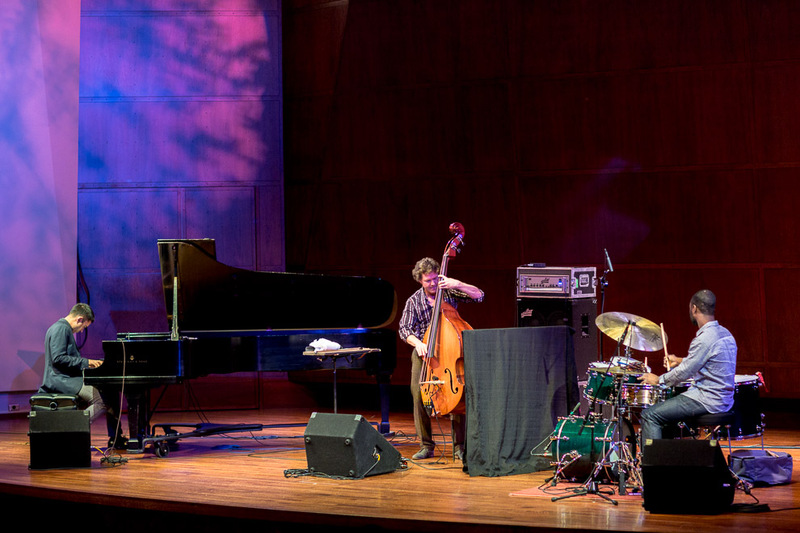 His powerful, cutting-edge music is rhythmically intricate and highly interactive, fluidly improvisational yet uncannily orchestrated. Its many points of reference include jazz piano titans such as Monk, Ellington and Tyner; the classical sonorities of composers such as Reich, Ligeti, Messiaen and Bartok; low-end sonics from hip-hop to electronica; and the vital, hypnotic music of Iyer’s Indian heritage.